Potential 2016 presidential candidate Sen. Marco Rubio isn't willing to blame human activity for the dramatic changes in weather in the world and doesn't think we can do much about it. “I do not believe that human activity is causing these dramatic changes to our climate the way these scientists are portraying it and I do not believe that the laws they propose we pass will do anything about it, except it will destroy our economy,” Rubio, R-Fla., told ABC on Sunday. Rubio made his comments as the White House has been trying to move climate change back to the forefront. Last week, the Obama administration released the National Climate Assessment, the result of four years of research by hundreds of scientists and experts. The report drew a direct connection between human activity and the uptick in global temperatures. Rubio said the scientists have used a “handful of decades of research” to conclude that the weather changes are a long-term trend solely and directly attributable to human activity. The Department of Defense also has been drafting strategy with climate change in mind, according to an NBC report. A group of Nobel Prize-winning scientists also released a U.N. report saying conditions are worse than they had projected in 2007. The report put humanity at an entirely new level of risk due to global warming. But Rubio said he doesn’t think there’s much we can do about the changing climate. 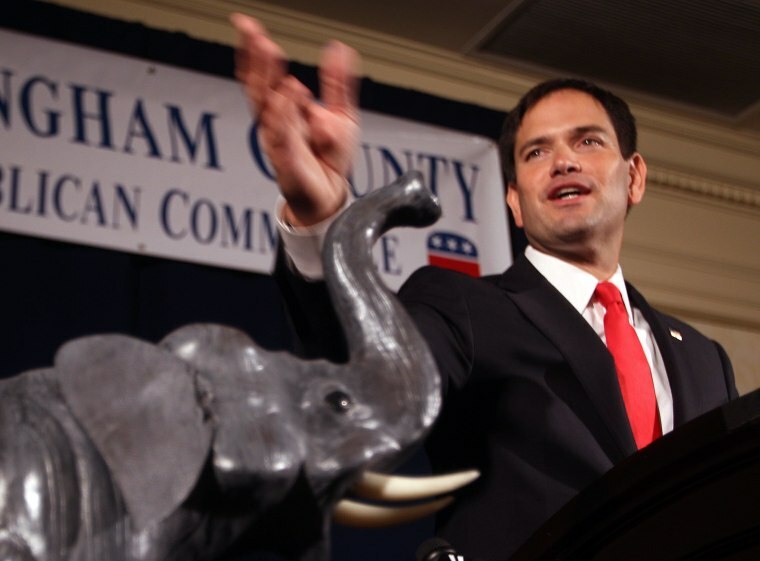 Rubio is a potential 2016 presidential candidate and repeated in the interview that he has said it is something he’d consider at the end of the year. _ Former Secretary of State Hillary Clinton, also a possible 2016 presidential candidate, should be held responsible for State Department failures including Benghazi. He gave her an “F” for her work as secretary of state. _ He does not plan to run for re-election to his Senate seat if he runs for president.